Instant Eye Intrastructure Inspection Case Study | PSI - Physical Sciences Inc. Since our beginnings PSI has focused our technology to its application. We developed the InstantEye® miniature UAV to support our warfighters, but are finding a wider application to domestic infrastructure inspection. Working closely with our partner San Diego Gas & Electric we applied InstantEye’s® unique precision positioning and attitude control to the important task of power line inspection. SDG&E was the first utility in the nation to obtain approval for an experimental “special type certificate” for research, development and training to allow InstantEye® to check power and transmission lines in sparsely populated airspace. The Federal Aviation Administration has approved InstantEye® for commercial use within the United States. 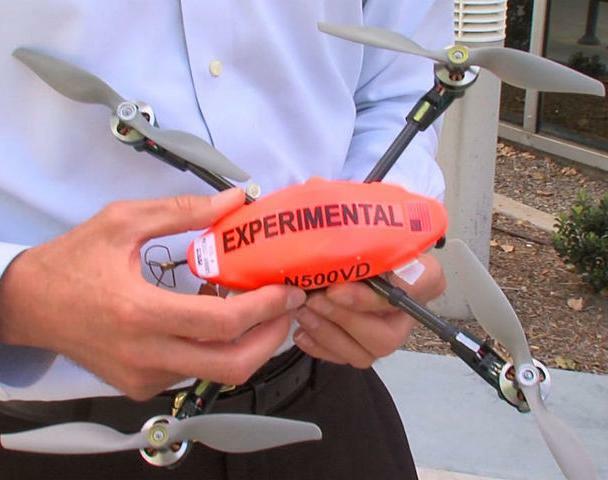 InstantEye® is the first unmanned quadrotor to receive FAA certification and may be the lightest aircraft ever certified. The approval opens the door for the system to be used for a wide range of commercial applications. It could be used for border patrol, the FBI or local law enforcement—the New York City police, for example, or even fire departments. First responders, law enforcement, FBI, border patrol, Coast Guard and others can use the system as long as they receive FAA certificates of waiver.